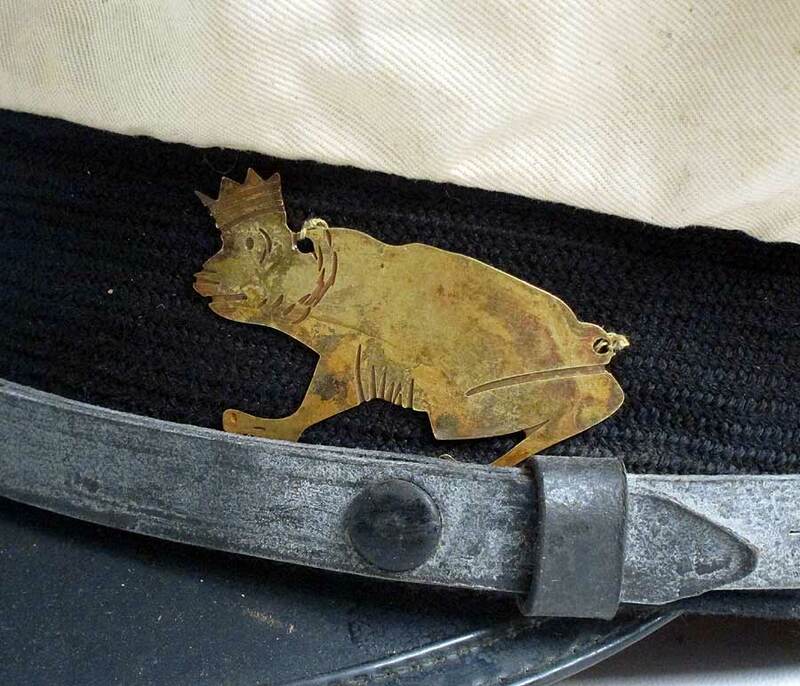 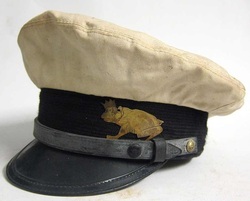 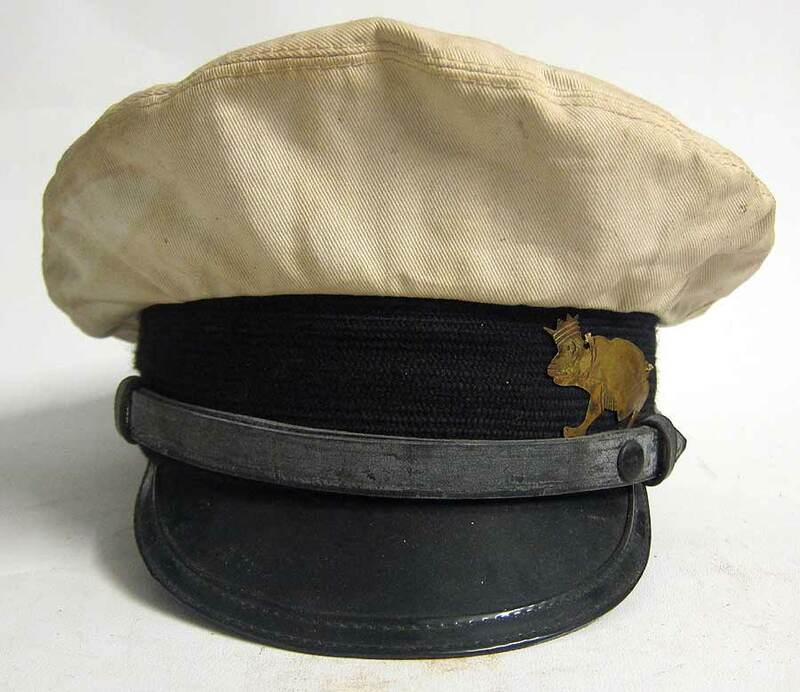 This is a vintage yachting cap made up identical to the cap used in the film 'Hell and High Water' but with the addition of a 'Frog' badge. 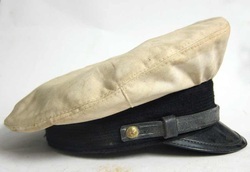 We can also make up similar or brand new versions of this cap, perfect for your vintage yacht or boat. 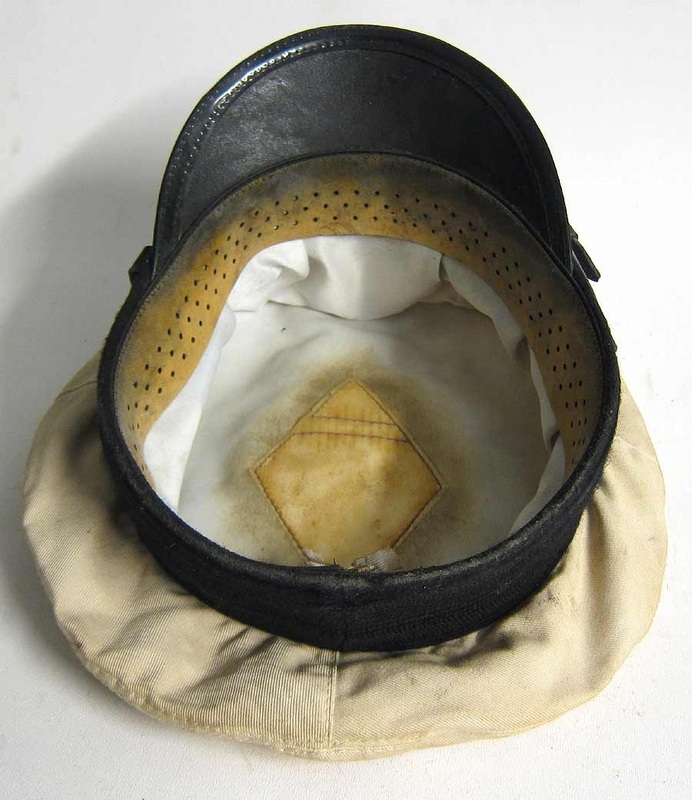 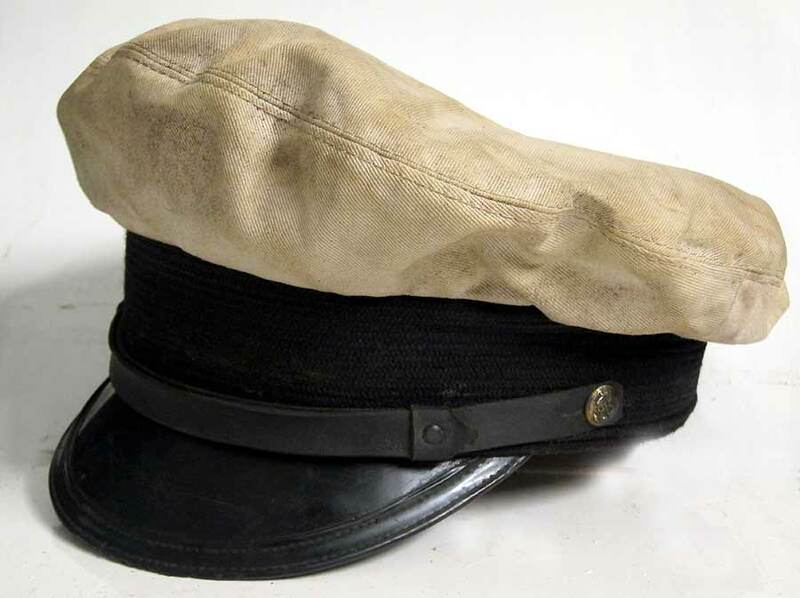 This vintage yacht cap is a copy of the one used by Richard Widmark in the film. 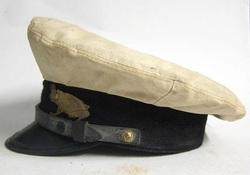 It has been suitably aged & has a 'Frog' badge attached to the side. 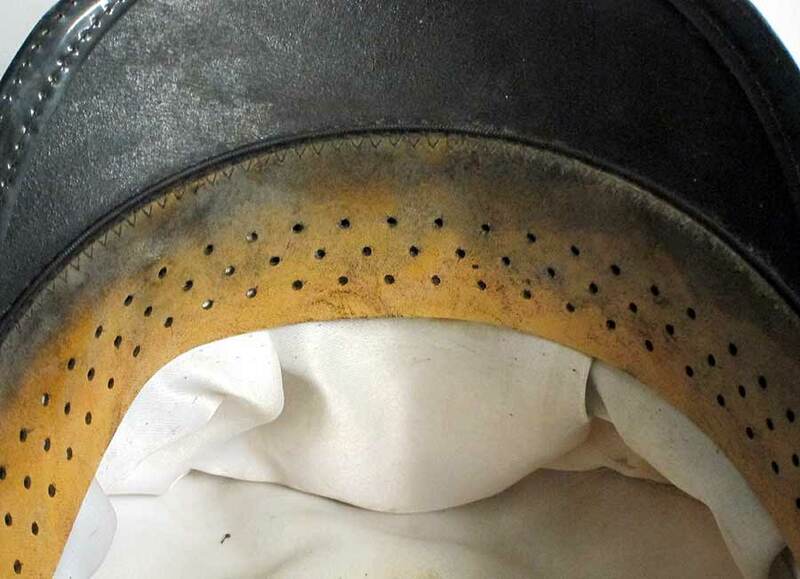 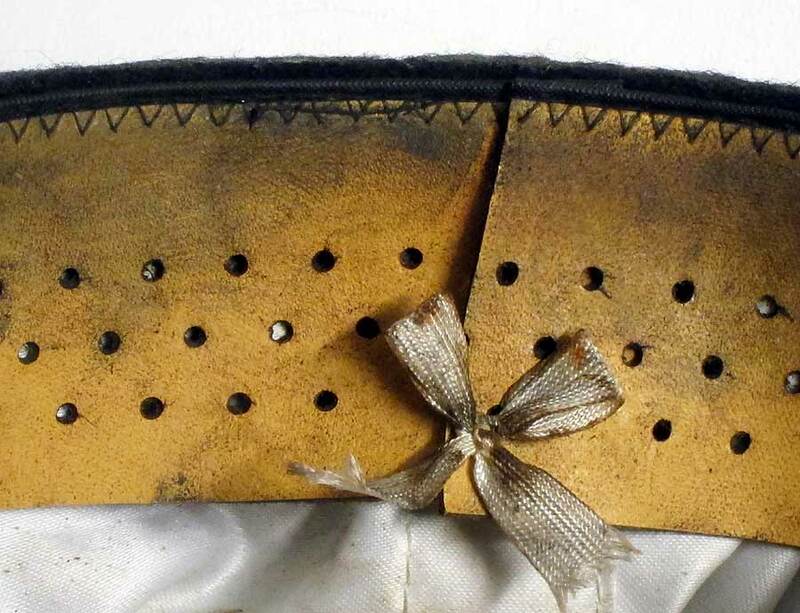 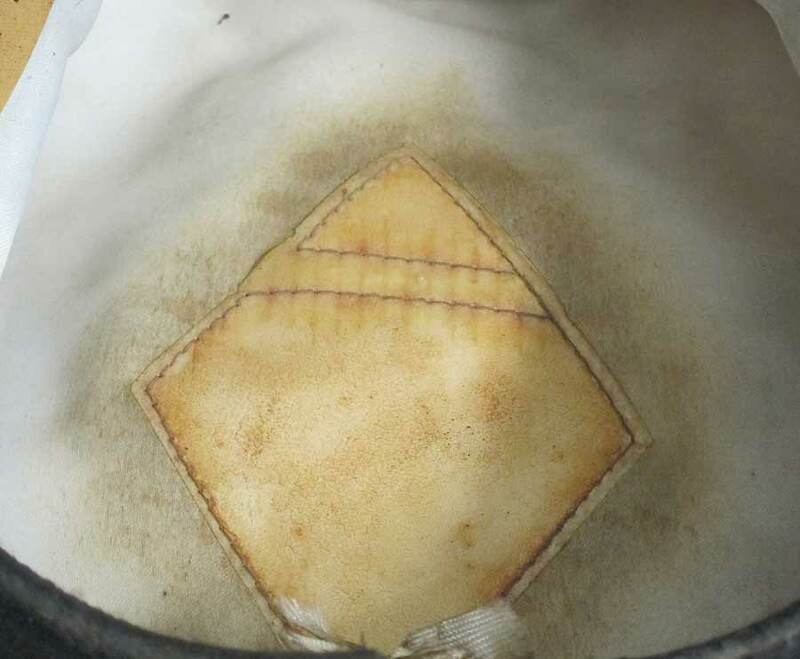 It has a cotton top covering which is removable for cleaning, vulcan-fibre peak and headband support, leather chinstrap, brass buttons, fully areated leather liner and many other features. Notice the shape - we have even got the shape to look 1950's style. 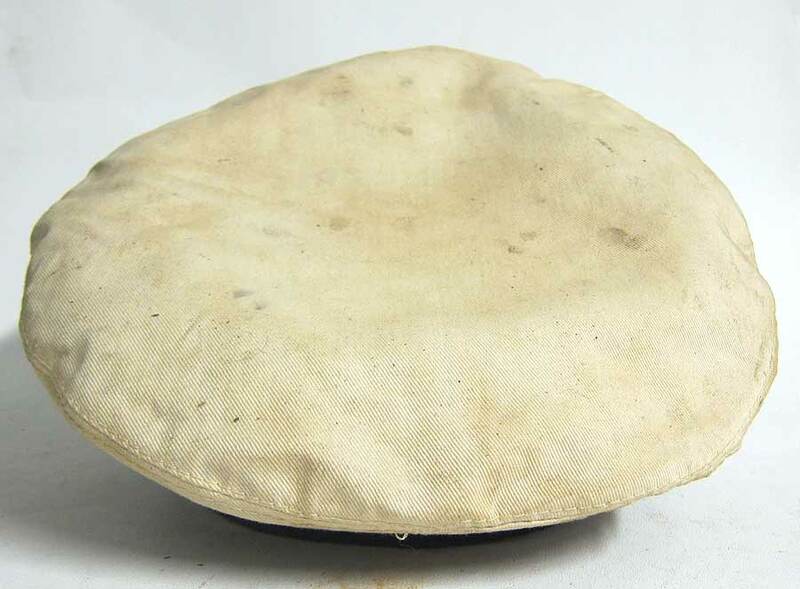 This cap is sold but feel free to email us if you want one made to your specification, including brand new condition!